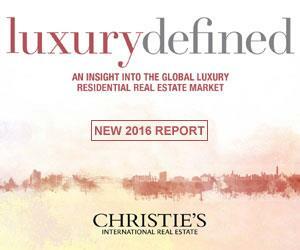 In this year’s Luxury Defined report, we look beyond the headlines and offer fresh perspectives on how macroeconomic factors are impacting prices, inventory, and sales in the prime property market. Supported by the esteemed art business, Christie's International Real Estate is a global network offering exclusive home and luxury real estate services to buyers and sellers worldwide. Our worldwide network includes 135 Affiliated brokerages operating from 1,200 offices, with 32,000 real estate professionals in 45 countries.